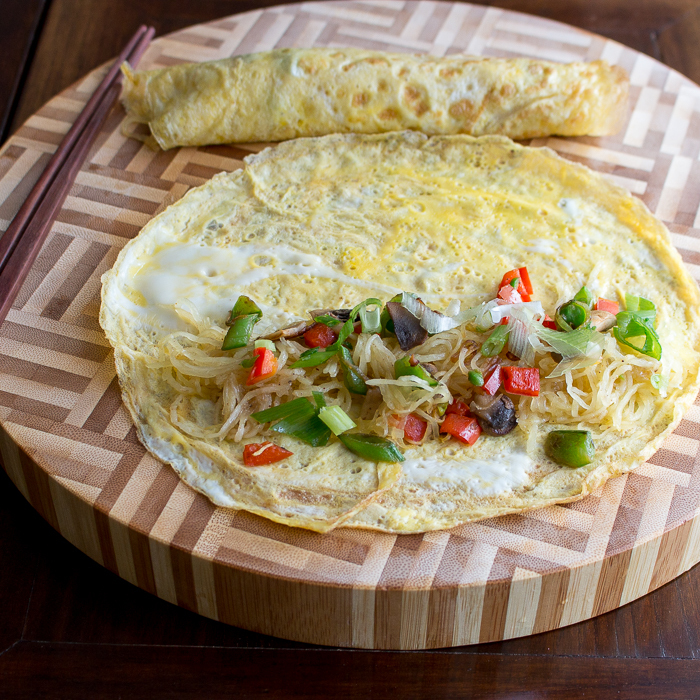 Have you ever had a Thai fried rice made the traditional way wrapped inside the thin egg pancake? 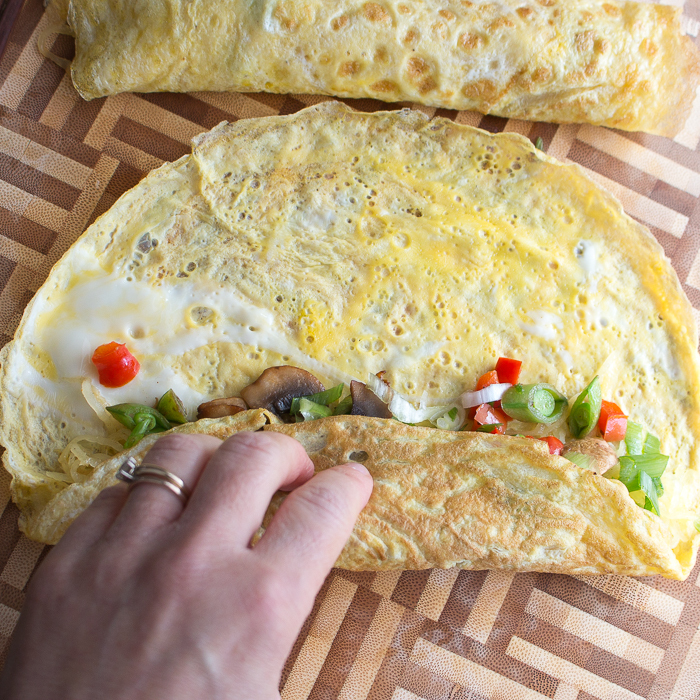 Our Skinny Spaghetti Squash Egg Roll Ups are built on that very idea but instead of using high carb white rice or noodles, we used spaghetti squash, mushrooms and vegetables. Spaghetti squash is much like tofu as it is a blank template and picks up the flavors of whatever you have mixed in the dish. 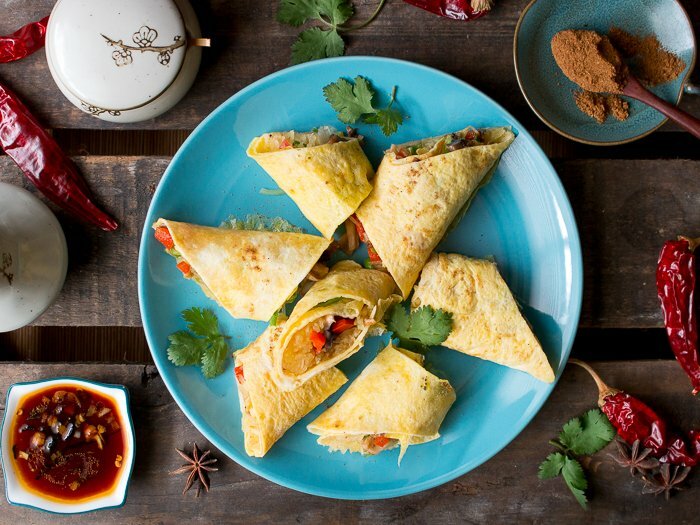 We chose Chinese 5 spice, garlic (of course), and sesame oil to bring out those delicate Asian flavors. Who is ready for Thanksgiving? Who is stressed about Thanksgiving because you have dietary issues or are trying to stay on a low carb diet? We hear your pain so we are on a mission to bring you a full Thanksgiving meal that will keep you on target for your low carb goals and you can eat guilt free. Are you ready to try something new? Come on over! We have taken the usually heavy carb, super high sugar rush coronary waiting to happen traditional Thanksgiving dinner and turned into a lighter, low carb Asian Fusion Thanksgiving Meal. Do you remember that feeling when you need to wear your stretch pants to Thanksgiving dinner? Did you know that an average Thanksgiving meal has 4,500 calories and a whopping 229 grams of fat during a typical holiday gathering? Holy cow! You are a cow!!! Been there. Done that and don’t like that guilt that comes afterwards and days of recovery. That might be a bit obsessive, what do you think? Let’s try something a little different. 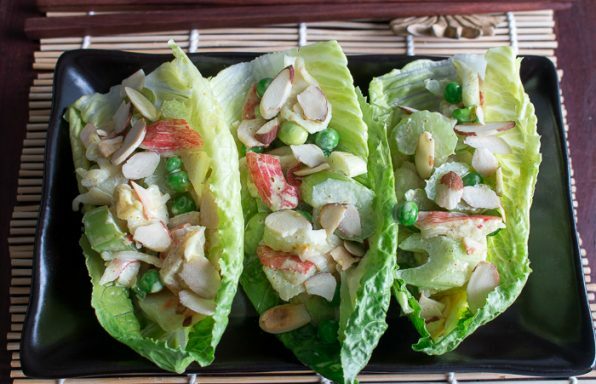 Let’s use Asian spices instead of sugar and carbs to fuel our meal. If you missed it, be sure to try our roasted Turmeric Spiced Turkey Breast and Garlicky Sesame Stir Fried Green Beans . 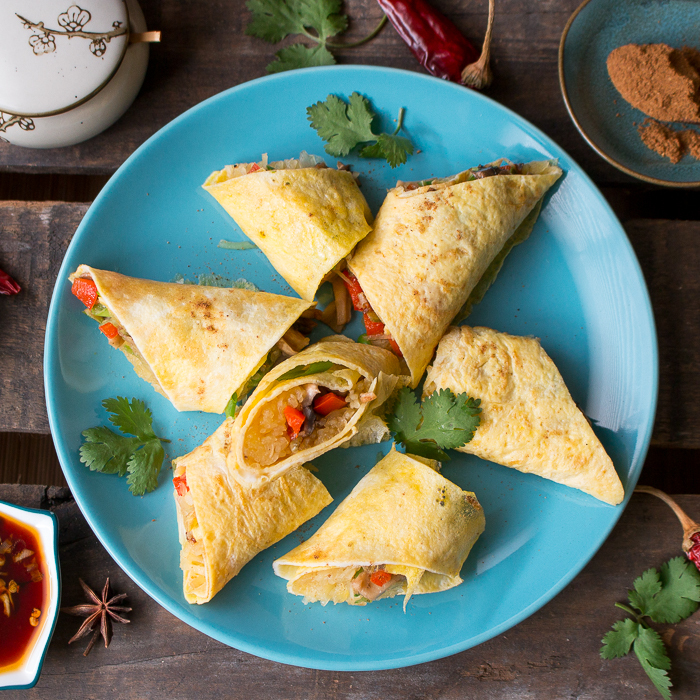 For a replacement for those mashed potatoes, sweet potatoes or stuffing be sure to give our Skinny Spaghetti Squash Egg Roll Ups a try. 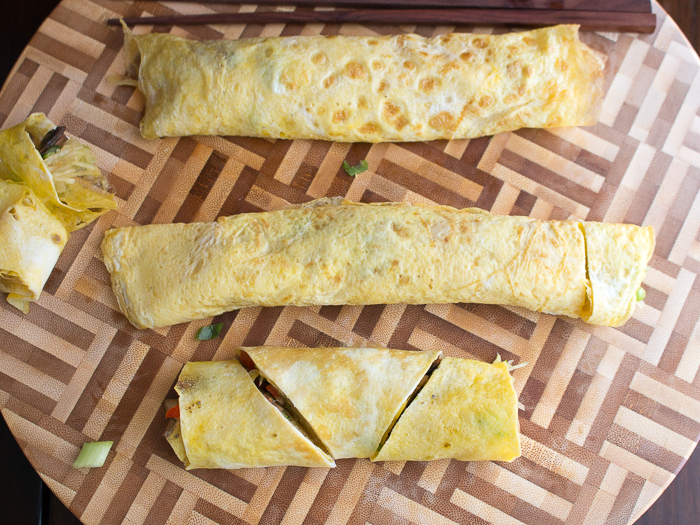 Our Skinny Squash Egg Roll Ups work great as a side or even as an appetizer. 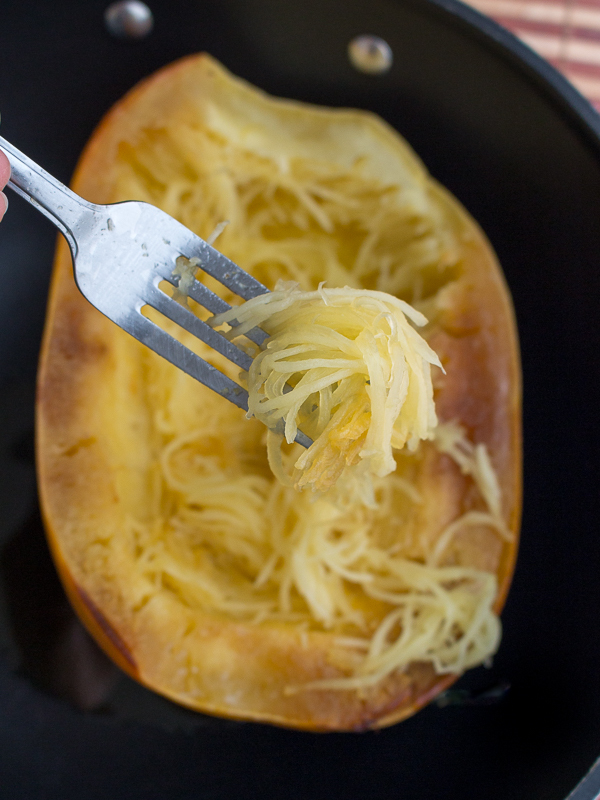 We roasted our spaghetti squash because we love that flavor from the roasting process. You could do that up to 2 days in advance. If you are low on time you can also cook your spaghetti squash in the microwave. You are going to love this killer spicy dipping sauce. 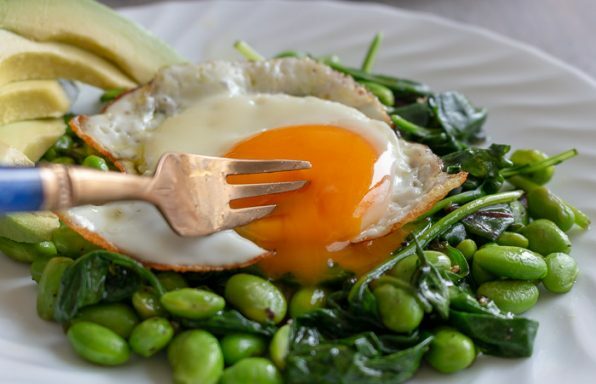 It is super easy to make and you probably have everything in your kitchen to make it right now. 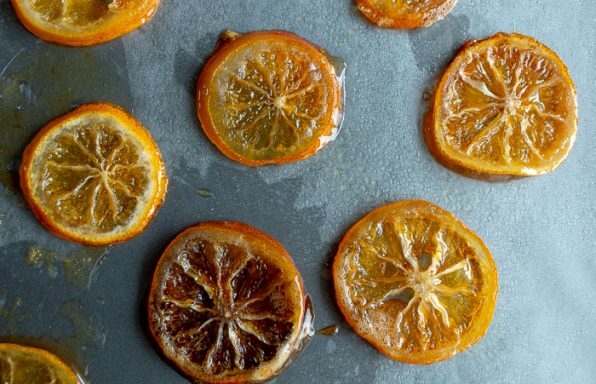 Make a little extra as it you like spicy thing you will want to slather it on everything. We stir fried spaghetti squash and tossed in other vegetables of choice and spices. We made ultra thin egg pancakes. Rolled it up like a tortilla. 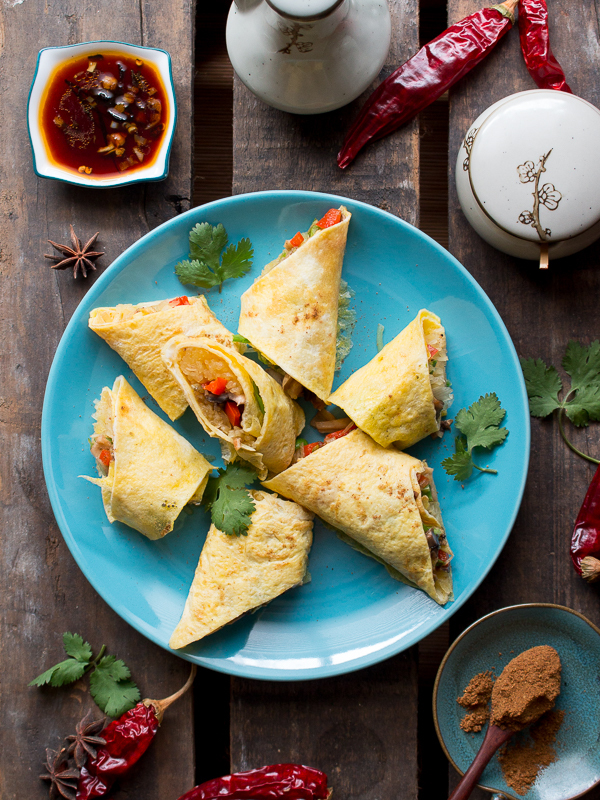 Cut our Skinny Spaghetti Squash Egg Roll Ups in easy to eat portion sizes with chopsticks and made a quick killer spicy dipping sauce. Ready to eat! 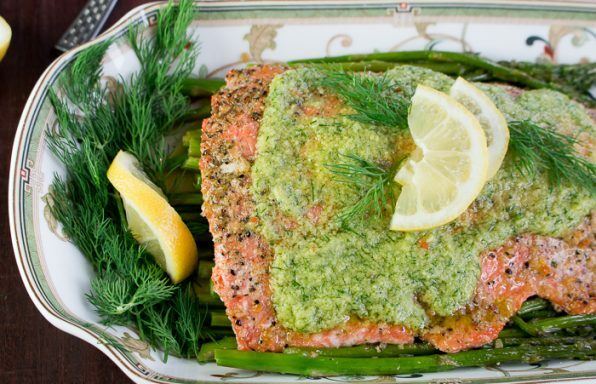 If you make any of our recipes be sure to tag us on instagram or facebook. We love seeing what you are making. Happy cooking! 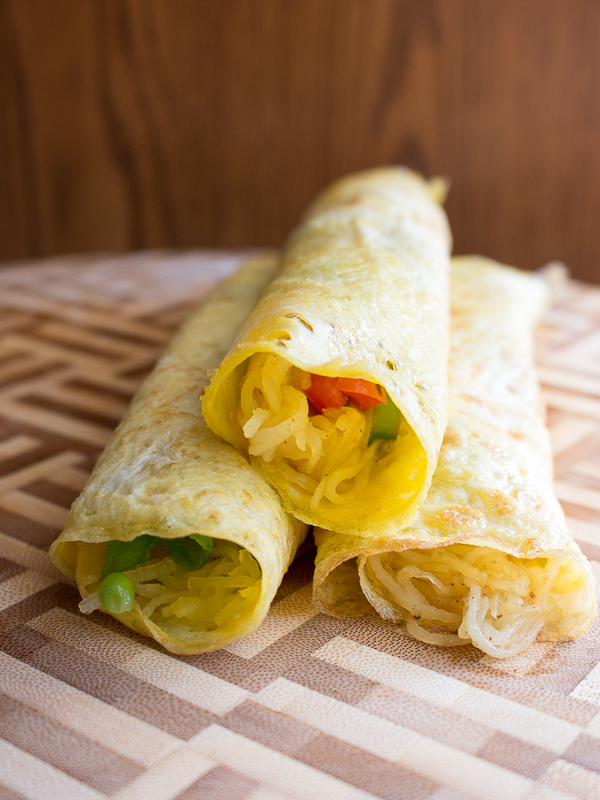 Skinny Spaghetti Squash Egg Roll Ups are a low carb anytime snack made with roasted spaghetti squash, vegetables wrapped up in a thin egg pancake with a spicy dipping sauce. 1Preheat oven to 375 degrees F or 190 degrees C.
2Carefully Cut spaghetti squash in half. (Get your fingers out of harms ways) We used a Chinese clever to cut in half. 3Place spaghetti squash cut side down on top of a lined baking sheet. Add the water to the baking sheet and bake for about 45 minutes or until you can easily pierce a fork into the skin. Remove from oven and let cool for a couple of minutes. 4Make your spicy dipping sauce: In a small pan add oil and heat to medium and add garlic, ginger just until aromatic. Remove pan from heat. Add the chili peppers and sauté just for a second and then add your tamari (soya) sauce. Set aside. 5In a wok or frying pan, add oil, garlic, ginger, snap peas, red bell peppers , mushrooms (or any vegetables your little heart desires and stir fry for a couple of minutes until bright green and slightly tender. 6Using a fork scrape the inside of the spaghetti squash in long strokes to remove the flesh. Add about 2 cups or ½ of the spaghetti squash to the wok, season with salt and white pepper, Chinese 5 spice and a drizzle of sesame oil and quickly stirfry just until your ingredients are incorporated. 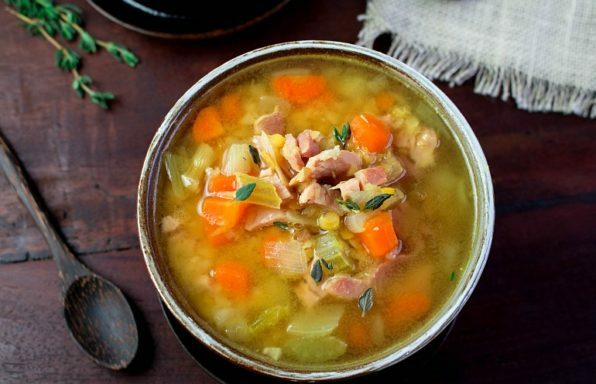 Remove from burner and set aside to keep warm. 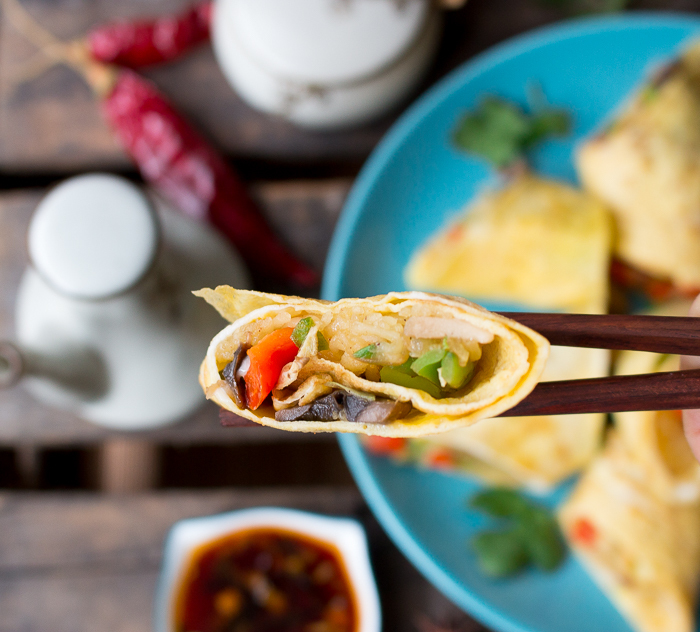 7In an omelet size frying pan or wok, spray with a little cooking oil. Heat pan to medium and add one beaten egg and swirl pan to have a light coating of egg on the bottom for a round egg pancake. It only takes 1 minute to cook. 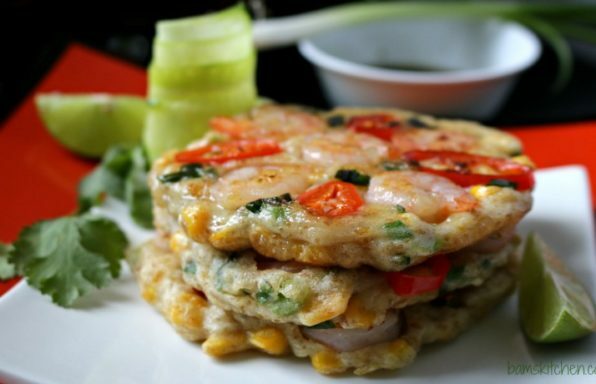 As soon as the egg is dry quickly remove the egg pancakes and place on a plate and keep warm. Repeat with the 5 remaining eggs. 8Assembly: On a board or plate lay one thin egg pancake. Add about 3 tablespoons of the seasoned stir fried spaghetti squash to one end of the egg. Top with a few fresh chopped green onions. Roll up like a tortilla. Cut off uneven ends… Then cut into thirds. 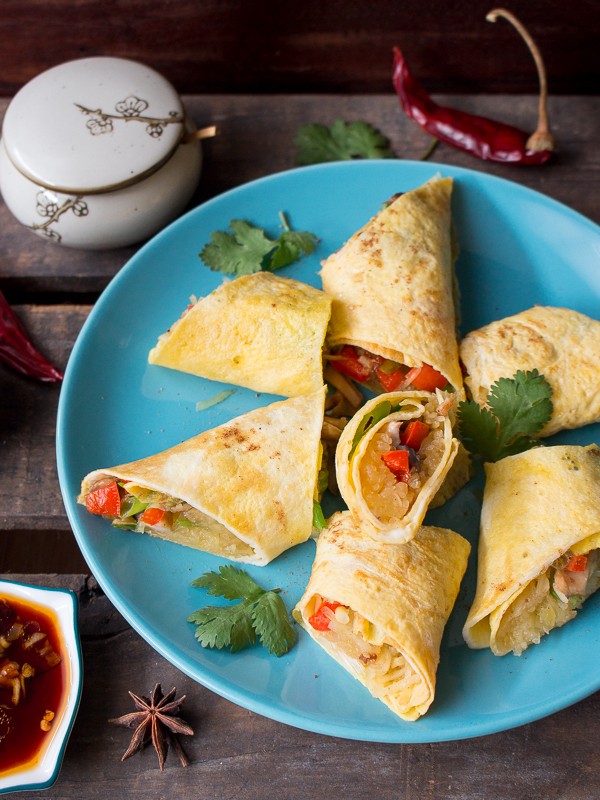 9Serve Skinny Spaghetti Squash Egg Roll Ups with the spicy dipping sauce and enjoy!